There’s about a week left until Christmas. I’ve been a baking fool since Thanksgiving weekend! I learned a lesson last year. Don’t leave the time-consuming cookies for the weekend closest to Christmas! 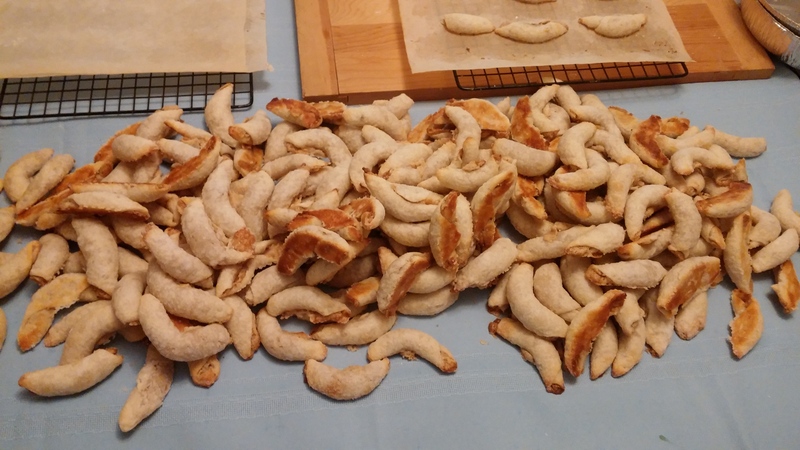 This year, I began early and baked the time-consuming cookies during my Thanksgiving break. First up, butter cut outs! I no longer bake and decorate these on the same day. 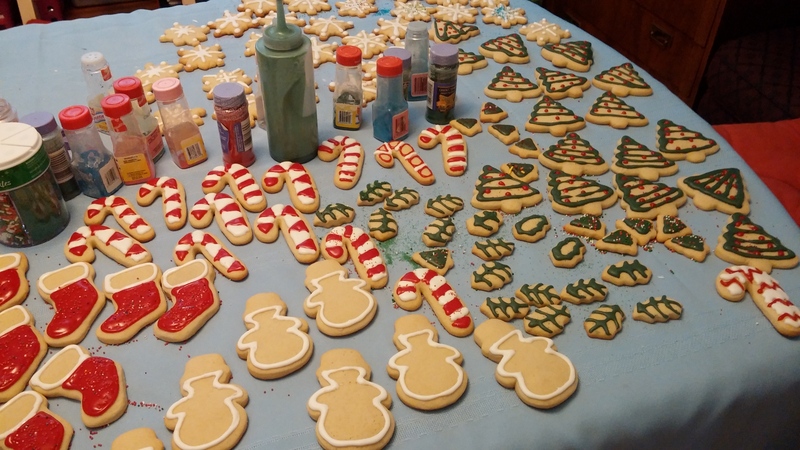 I’ve been researching different icing recipes to decorate these over the past few years. Social Diva initially began decorating for me, but then received a better offer and off she went! It was fun to sit down and create these. I am so happy with how they came out! 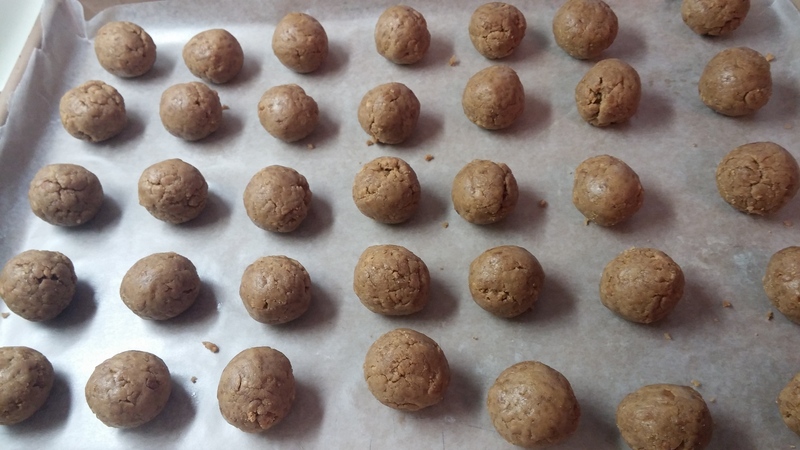 Gingerbread truffles were easy to whip up. I threw the rolled balls into the freezer to dip on a different day. I made Social Diva help me with the dipping! Next up, my Nana’s Nut Horns! Followed by nut bread. I made two batches of bread over two days. This is the finished product from the first batch. Have I mentioned how much I love the KitchenAid mixer and it’s ability to produce bea-U-tiful dough? 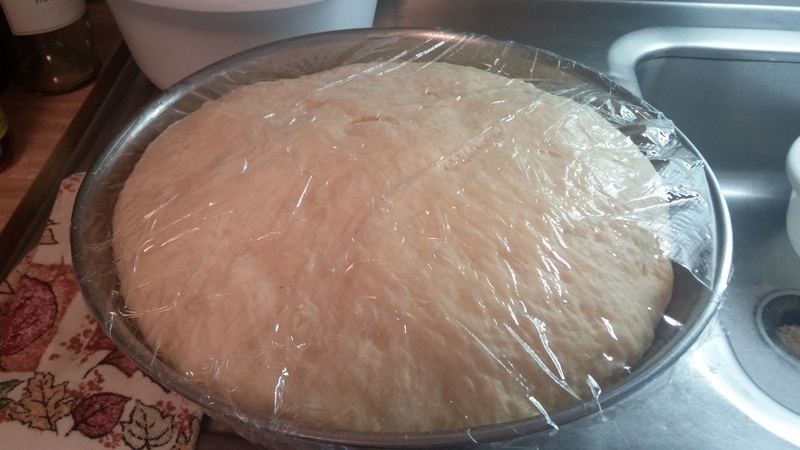 This is the dough from today’s batch. 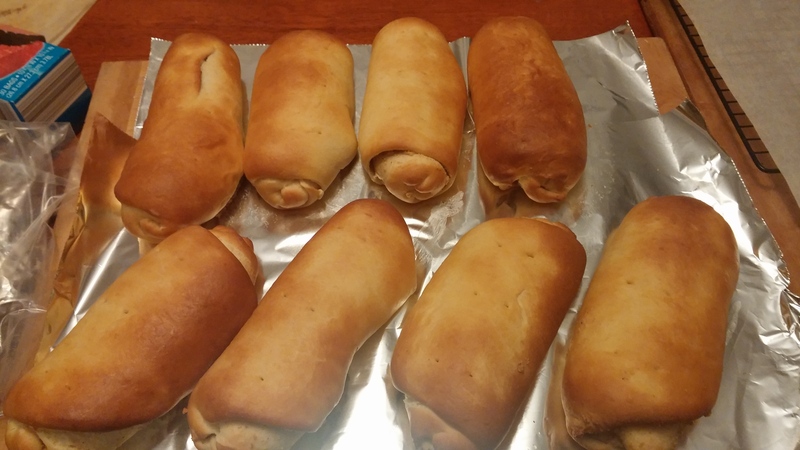 I was able to make 9 various-sized loaves from this batch. I like to send a loaf of this and some nut horns to my Uncles from my dad’s side of the family. I used to always make these with my Nana and have continued to make them even though she’s no longer with us. I know they miss her and her baking so I like to remember them at the holidays. Yesterday’s cookie was a tweaked recipe. I had a recipe for a ‘chocolate/marshmallow’ cookie. 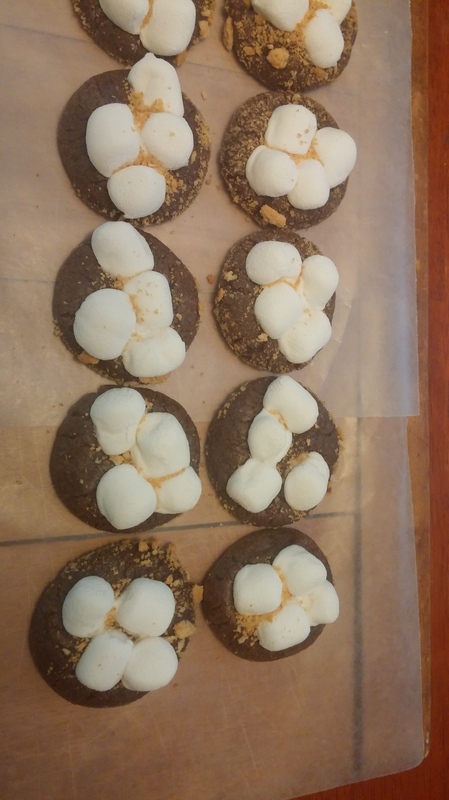 To change it into a s’more-type cookie, I rolled the cookie dough in crushed graham crackers as well as sprinkled crushed graham crackers on top of the marshmallows. I also drizzled these with chocolate. Also in my freezer (I forgot to take pictures) are red velvet peppermint cookies, rolo cookies, and buckeyes. I’ve run out of #BakingMondays. I need to finish up a few minor details (like dipping the buckeyes, for example) and then I can start putting my trays together. I’ll be packing up cookie trays all week to haul into work. Since everyone isn’t in our office on the same days, it’s helpful to take in a few trays each day. If I can gather up the recipes, I’ll add the links later. Posted on December 16, 2013, in Holidays. Bookmark the permalink. Leave a comment.